Kaduna state governor Nasir El- Rufai on Tuesday said about 130 persons died in Kajuru villages attack and not 60 as he previously announced. El-Rufai on Friday, February 15 said "just yesterday, I got a report of the killing of about 66 Fulani at Maro in Kajuru Local Government." However, after a security council meeting presided over by Nigeria President Muhammadu Buhari in Abuja, El-Rufai said the number of casualties was reviewed upward. The governor said names and photographs of those killed would soon be made available to the press. "The latest report shows that over 130 people were killed, not even 60. We have the list and we will release it to the media. The affected communities have provided us with the names of those that were killed," El-Rufai said. The security council meeting, which lasted for an hour, was attended by El-Rufai, Jibrilla Bindow (Adamawa), Kashim Shettima (Borno) and members of the country's national security council. El-Rufai said the killing was a deliberate plan to wipe out a certain community. He did not mention any sponsors of the attack. The governor, who added that anybody questioning whether the attack took place or not is grossly irresponsible, assured that the perpetrators of the killings would be made to face the full wrath of the law. 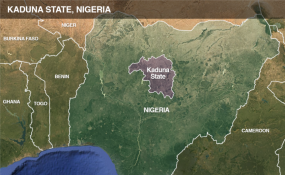 Also, Kaduna state police commissioner, Ahmad Abdulrahaman, said a total of 11 suspects have been arrested in connection with the killings. According to Abdulrahman, "Initially we arrested eight people and additional three have been arrested. More facts are coming out. We want to do the needful before taken the suspects to court."